Natural feel, beautiful look. Founded in 1991, co-founders Jean-Pierre LeBlanc and Kate Ross-LeBlanc are dedicated to connecting people to the healing power of plants through natural remedies and 100% natural products that help the body detoxify and rejuvenate. Passionate about wellness and rooted in community, the Saje brand delivers quality premium products and is committed to delivering the best in customer service. 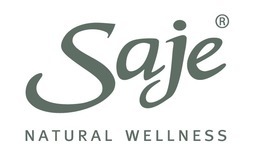 Shop natural health and beauty products from Saje Natural Wellness at CF Polo Park in Winnipeg.